Go If: You can’t resist a tragic love story. New Moon is your favorite book of the entire Twilight Saga and you can quote a certain passage from Act II, Scene VI of Shakespeare’s play by heart (don’t worry we won’t tell anyone). You’ve never been to the ballet and want to start with a tale that’s easy to follow in dance form. The idea for Romeo and Juliet as ballet came originally from Sergei Radlov, the Artistic Director of the Kirov (now the Mariinsky) around 1934. He developed the scenario together with theatre critic Adrian Piotrovsky and commissioned the music from one of his favorite Chess partners: Sergei Prokofiev who had never before composed for a full-length ballet. Prokofiev finished the score on September, 1935 but the production was stalled when the communist regime demanded it be given a happy ending. Having shaped his score to match Radlov’s interpretation of the Shakespearean play Prokofiev was unhappy with this imposition. Further political problems saw the project shelved and transferred to the Bolshoi where it was deemed unsuitable. The ballet was eventually salvaged by the Kirov and on January 11, 1940 Romeo and Juliet finally received its premiere, with choreography by Artistic Director Leonid Lavrovsky. 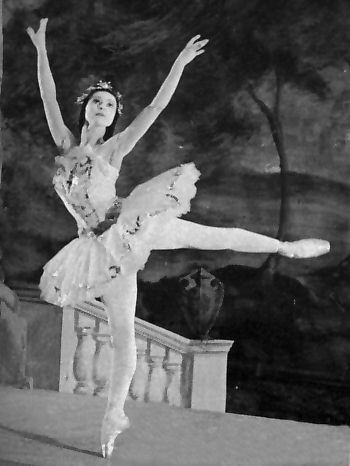 Legendary Galina Ulanova was the original Juliet and Konstantin Sergeyev her Romeo. The ballet was hailed a success but it only became a phenomenon six years later when it was staged in The Bolshoi Theatre (December 28, 1946), resulting in Lavrovsky’s appointment as Artistic Director of the Bolshoi. The Bolshoi toured London for the first time and staged Lavrovsky’s Romeo and Juliet in the Covent Garden Stage (October 3, 1956) to great acclaim. Margot Fonteyn expressed she had “never seen anything like it” and budding choreographer John Cranko was so inspired by the ballet that he soon started to plan his own version. Cranko’s first staging of Romeo & Juliet was for the ballet company of La Scala in Milan in July 26, 1958. It was danced in an open amphiteatre in Venice. Designs were by Nicola Benois and the role of Juliet was danced by then 21 year-old Carla Fracci. Further revising the ballet Cranko staged it in 1962 for his own company, The Stuttgart Ballet. Jürgen Rose was in charge of the designs and young Brazilian ballerina Marcia Haydée, soon to become Cranko’s muse, was cast in the role of Juliet, with Richard Cragun as Romeo. 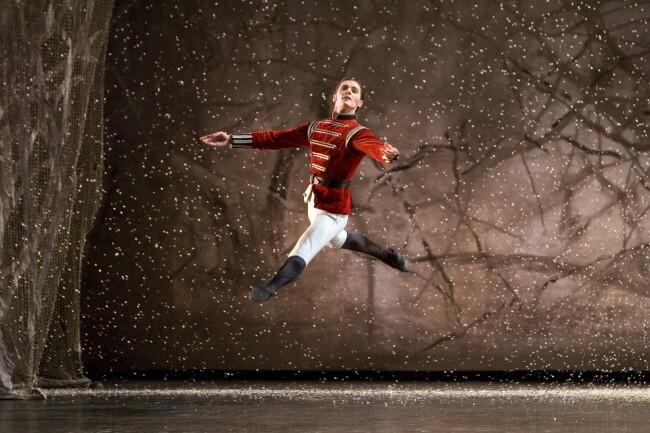 Cranko’s staging is renowned for its strong corps de ballet dances, which set the atmosphere. The first scene takes place in the cramped streets of Verona, so both Montagues and Capulets are incapable of avoiding each other. In Act II the fight erupts amongst peasants on a harvest festival, with everyone involved and fruits being spilled around. At that time Cranko’s company were still developing their technique and identity so the choreography is relatively simple. When it comes to the various pas de deux one can see Lavrovsky’s influence in the very Soviet style of partnering with lifts and tosses. Cranko’s version of Romeo and Juliet remains very popular and besides being a regular staple at the Stuttgart Ballet, it is also in repertory at The National Ballet of Canada, The Australian Ballet, Finnish National Ballet, The Joffrey, Houston Ballet, Boston Ballet, and Pensylvannia Ballet, among others. Kenneth MacMillan, a close friend of Cranko’s from their dancing days in the Sadler’s Wells Royal Ballet, was inspired to create his own version for The Royal Ballet after seeing it staged by The Stuttgart Ballet. An opportunity came when The Royal Opera House failed to secure a deal with the Bolshoi to exchange performance rights for Ashton‘s La Fille Mal Gardée against Lavrovsky’s Romeo and Juliet. Ninette de Valois had also asked Sir Frederick Ashton to stage the version originally choreographed for The Royal Danish Ballet in 1955 but he feared that something created for a smaller theatre would look modest compared to the scale of the Russian production. Ashton, then Artistic Director, suggested to the Board of Directors that MacMillan should undertake the task of creating a new version. MacMillan had devised a balcony scene pas de deux for Lynn Seymour and Christopher Gable for a feature on Canadian television and once he received the go-ahead he started working on his first full-length ballet, nowadays one of Romeo and Juliet’s most definitive versions. Designer Nicholas Georgiadis was inspired by Franco Zeffirelli‘s production of the Shakespearean tragedy for the Old Vic, in which the Capulets lived in a big fortress-like mansion. MacMillan wanted his ballet to be more realistic than romantic, with added contemporary touches. He wanted the young lovers to die painfully and to drop the reconciliation between Capulets and Montagues at the end of the play providing a different angle from the Lavrovsky & Cranko versions. The ballet was choreographed on Seymour and Gable as Juliet and Romeo. As usual, MacMillan explored the role of the outsider in his portrayal of Juliet, a headstrong and opinionated girl who breaks away from her family. He started with the pas de deux (the highlights of this staging) and drew on the full company plus extras to set the town scenes. While work was in progress Covent Garden management delivered the blow that Fonteyn and Nureyev would be first cast Juliet and Romeo, a shock to MacMillan, to Ashton (who had expected them as a first cast for the US tour only) and to dancers Seymour and Gable who had to teach their roles and resign themselves to a lower spot on the bill. MacMillan’s pleas to Covent Garden management to keep Seymour and Gable in the premiere were in vain. His Romeo and Juliet premiered on February 9, 1965, with Fonteyn and Nureyev taking 43 curtain calls over a 40 minute applause. 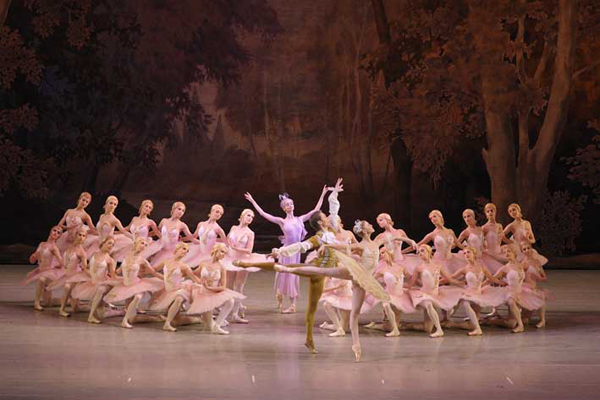 In the US it quickly became the best known version of the Prokofiev ballet. 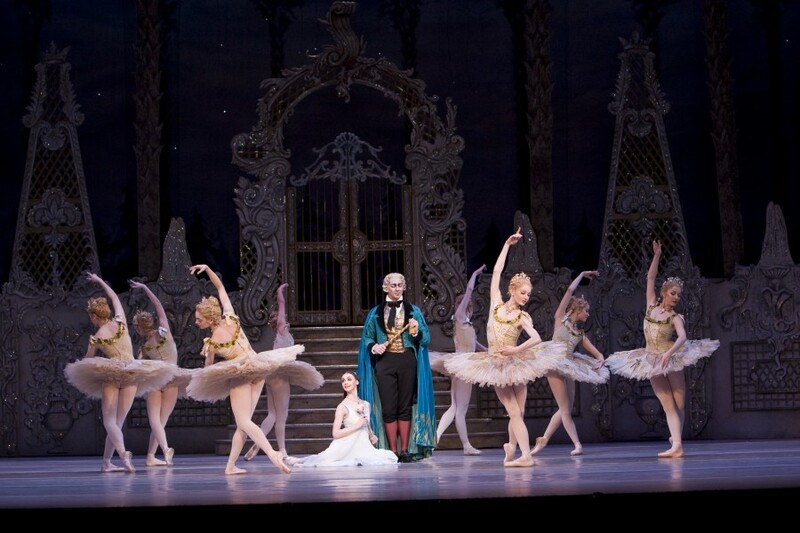 Besides the Royal Ballet, the ballet is also part of the regular repertory of American Ballet Theatre, The Royal Swedish Ballet and Birmingham Royal Ballet (with designs by Paul Andrews). It’s early hours in Verona. Romeo unsucessfully tries to woo Rosaline and is consoled by his friends Mercutio and Benvolio. As the market awakens and street trading starts a quarrel breaks out between the Montagues and the Capulets. Tybalt, Lord Capulet’s nephew, provokes Romeo’s group and the sword fighting begins with both Lord Montague and Lord Capulet joining in. Escalus, the Prince (or Duke) of Verona, enters and commands the families to cease fighting and issues a death penalty for any further bloodshed. Lord Capulet’s only daughter Juliet is playing with her nurse. Her parents enter her chambers and inform Juliet of her impending engagement to the wealthy noblement Paris to whom she is to be formally introduced at the evening’s ball. In MacMillan’s version Juliet’s introduction to Paris happens at this point. Guests are seen arriving at the Capulets’. Romeo, still in pursuit of Rosaline, makes his way into the ball in disguise accompanied by Mercutio and Benvolio. At the ball all eyes are on Juliet as she dances with her friends. Romeo becomes so entranced by her that he completely ignores Mercutio’s attempts to distract him. As Juliet starts to notice Romeo his mask falls. Juliet is immediately bewitched but Tybalt recognises Romeo and orders him to leave. Lord Capulet intervenes and welcomes Romeo and his friends as guests. At this point in MacMillan’s staging we see inebriated guests leaving and Lord Capulet stopping Tybalt from pursuing Romeo. Later that night Juliet is unable to sleep and stands on her balcony thinking about Romeo. Just then he appears on the garden below and they both dance a passionate pas de deux where they express their mutual feelings. As festivities are being held at the marketplace Romeo daydreams about getting married to Juliet. His reverie is broken when Juliet’s nurse makes her way through the crowds bringing him Juliet’s letter with the acceptance to his proposal. The young couple is secretly married by Friar Laurence, who hopes the union will end the conflict between their respective families. Tybalt enters interruping the festivities. He provokes Romeo, who now avoids the duel, realising he is now part of Juliet’s family. Mercutio is willing to engage with Tybalt and, in vain, Romeo attempts to stop them. Mercutio is fatally wounded by Tybalt. Romeo seeking to avenge his friend’s death finally yields to Tybalt’s provocations and kills him. Romeo must now flee before being discovered by Prince of Verona. Curtains close as Lady Capulet grieves over Tybalt’s dead body and her breakdown is particularly emphasised in Cranko’s staging. Romeo has spent his last night in Verona with Juliet but as dawn arrives he must flee for Mantua despite her pleas. To Juliet’s dismay Lord and Lady Capulet appear together with Paris to start preparations for the wedding. Juliet refuses to marry Paris and Lord Capulet threatens to disown her. In despair, Juliet seeks Friar Laurence’s counsel. Juliet begs Friar Laurence for help. He gives Juliet a sleeping potion that will make her fall into a deathlike sleep. This will make everyone believe Juliet is dead while the Friar will send for Romeo to rescue her. Juliet returns home and agrees to marry Paris. She drinks the potion and falls unconscious. Her friends and parents arrive the next morning and discover her lifeless. Romeo has heard of Juliet’s death (in the Lavrovsky version we see Romeo break down in grief as the news are delivered to him) and has returned to Verona without having received Friar Laurence’s message. He enters the crypt disguised as a monk where he finds Paris by Juliet’s body. Stunned by grief, Romeo kills Paris (this is absent from Lavrovsky’s staging). Still believing Juliet to be dead Romeo drinks a vial of poison and collapses. Juliet awakes to find Romeo dead beside her. She stabs herself to join Romeo in death. Both Montagues and Capulets gather together and reconcile before their children’s bodies. Antony Tudor‘s Romeo and Juliet for Ballet Theatre, now ABT (1943), set to various pieces of music by Frederick Delius. Yuri Grigorovich‘s version for the Bolshoi (1982) set to Prokofiev’s score. This version is still danced by the company. Prokofiev’s score for Romeo and Juliet is considered one of the four greatest orchestral compositions for ballet (together with Tchaikovsky’s scores for Swan Lake, The Sleeping Beauty and The Nutcracker). He originally conceived the score as 53 sections linked by the dramatic elements of the story, each section named after the characters and/or situations in the ballet. Like Tchaikovsky, Prokofiev developed leitmotifs for the characters. There are 7 themes for Juliet varying from her playful/girlish side in Act I to romantic and dramatic themes which follow her development into a woman in love and foreshadow the impending tragedy in Act III. Suite No 1. Folk Dance, The Street Awakens, Madrigal, The Arrival of Guests, Masks, Romeo and Juliet, Death of Tybalt. Suite No 2. Montagues and Capulets, Juliet the Young Girl, Dance, Romeo and Juliet before parting, Dance of the Girls with Lilies, Romeo at Juliet’s Grave. Suite No 3. Romeo at the Fountain, Morning Dance, Juliet, The Nurse, Morning Serenade, The Death of Juliet. Premiere: January 11, 1940, Kirov Theatre, Leningrad (now St. Petersburg). Premiere:February 9, 1965 at Covent Garden, London. The Royal Ballet’s Romeo and Juliet (Kenneth MacMillan) Programme Notes, 2007/2008 Season. Go If: You like intensely physical dancing molded from contemporary choreography. Tetley’s work is as a balanced mixture of classical ballet and modern dance. You like greek mythology and/or ballets drawn from literary sources, in this case, a Jean Cocteau play. Skip If: You are allergic to colourful 70’s style bodysuits or you are a Petipa purist who doesn’t fancy ballet crossed over with Martha Graham. To understand Glen Tetley‘s unique style, one needs to go back to his roots. Few choreographers have been able to so harmoniously mix influences from so many different schools of dance. Born in Cleveland, Ohio, Tetley started training as a dancer at the late age of 16 after seeing Nora Kaye and Hugh Laing in American Ballet Theatre‘s production of Romeo & Juliet. A move to New York and a random visit to a friend lead him to become the understudy in a Broadway production ran by none other than Jerome Robbins, who immediately recognised Glen’s talent and potential. While performing on Broadway, Tetley continued to train intensively in dance. He studied modern dance with Martha Graham and Hanya Holm, classical ballet at the School of American Ballet (SAB) and with Anthony Tudor. He became very interested in the stylistical impact Asian movement could make on modern dance. Given the frictions between modern and classical dance at the time, he shut himself in his studies and carried on with a paralell degree in Chemistry (NYU), which allowed him to explore opportunities in theatre and literature at the University. With this foundation he built not only his own dance vocabulary, but enough ideas to develop as a choreographer. Tetley’s style is a blend of notions from all these various dance schools. His choreography has the fluidity and lyricism of classical ballet but also the impact, athleticism and breadth of movement that comes from modern dance, which is very open and fills the stage. Classical dancers often say that dancing Tetley’s works have helped them become better dancers. Tetley’s inspiration for Sphinx came from his passion for literature. The ballet is his personal take on Act II of The Infernal Machine, a play by Jean Cocteau. It was originally created for ABT on ballerina Martine van Hamel to the music of Martinů‘s Double Concerto for two String Orchestras. In Ancient Greece the myth of Oedipus was passed down from one generation to the next. First references to it date back to 7th century BC with Homer and Hesiod and, a few centuries later, via Aeschylus and Sophocles who wrote their own accounts of Oedipus’s tragedy from a combination of several different sources. Oedipus was the son of Laius, king of Thebes, and Jocasta. He was abandoned at birth owing to a prophecy by the Oracle of Delphi who foretold Laius and Jocasta that he would kill his father and marry his own mother. To avoid this fate, his father binds his ankles together with a pin and instructs a shepherd to take the boy away and kill him. The shepherd, full of pity, leaves the baby in the hands of another shepherd from Corinth who takes him to king Polybus and queen Merope. They adopt him and name him Oedipus (swollen feet). What goes on four legs in the morning, two legs at noon and three legs in the evening? Man: as infant he crawls on all fours, as an adult he walks on two legs and in old age he relies on a walking stick. The Sphinx, defeated, throws herself from a cliff onto her death. Jean Cocteau’s The Infernal Machine is a rework of Sophocles’s Oedipus Rex (Oedipus the King) where the Sphinx is not a beast but an immortal woman who has grown weary and longs to fall in love with a human, in this case Oedipus. Cocteau kept its ancient setting but gave the dialogue a modern treatment and added a third character, Anubis, the Egyptian god of the dead, who is allied with the Sphinx to kill those who don’t answer the riddle. Given the play’s focus on fate vs. free will and other contemporary themes, Cocteau’s Oedipus could be any young man searching for his own identity, while Thebes could be any major city, with its problems and vices. Tetley’s ballet recreates The Meeting of Oedipus and the Sphinx (from Act II of the play). For the Sphinx he introduced elegant angular arms and dynamic footwork given that the mythological creature is originally a winged lion with a human head. To represent the ominous Anubis and his warnings to the Sphinx he choreographed vigourous solos with fast turns and jumps, while Oedipus dances adagio sections and a very demanding pas de deux with the Sphinx, full of complex lifts. 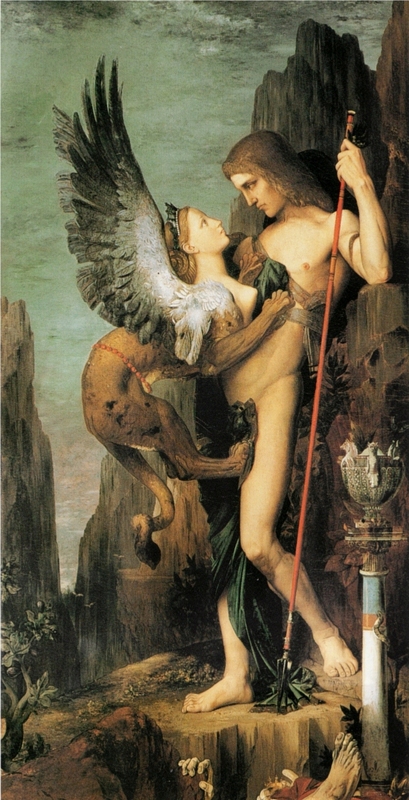 The immortal woman-Sphinx falls in love and yields to Oedipus, revealing to him the answer to the riddle. Confronted by Anubis, Oedipus raises several fingers and waves his hands in “reply” to the riddle. The Sphinx loses her power and Oedipus leaves unharmed without so much as a thank you for the answer. The ballet ends with the Sphinx returning to her winged platform to die under the ever watchful eyes of Anubis. Initially Tetley had commissioned an original score from Paul Chihara with whom he had discussed the story, but he ultimately disliked the material proposed. Turning to his music collection, he uncovered Bohuslav Martinů’s Double Concerto for Two String Orchestras, Piano and Timpani and decided to use it in his ballet. Czech composer Martinů (1890-1959) was a big exponent of Neoclassicism His compositions often reference Czech folk music but with a prominent role for the piano, which point to his admiration for the works of Debussy and Stravinsky. Sphinx is part of the Royal Ballet’s Autumn triple bill, which runs from 4 Nov – 18 Nov. For booking and further details, visit The Royal Opera House Website. While at the main stage the Royal Ballet season kicks off in October with Mayerling, downstairs at the Linbury Studio the ROH2, Royal Opera House’s contemporary arm, makes a headstart next week with an exciting new collaboration between dancers Tamara Rojo, Thomas Whitehead, Steven McRae and choreographer Kim Brandstrup. Then, later in the season, Brandstrup goes back to the main stage for a repeat of his acclaimed one act ballet, Rushes – Fragments of a Lost Story. Based on one of the preliminary outlines for Dostoevsky’s novel The Idiot and influenced by socialist realist movie aesthetic, the ballet furthered his range as a leading narrative choreographer. With Brandstrup’s film school background it was natural that a ballet called Rushes (the name refers to raw, unedited film scenes) should contain all forms of reference and reverence to cinema, with its non linear narrative and action that takes place behind beaded curtains, just like a grainy movie from the 30’s. Movie-like structures are something of a leitmotif in his works, and in the past he has spoken of his rejection of classical ballet’s literal or linear plot development as compared to “film cuts” (see “in his own words” below). However, Brandstrup’s forthcoming Goldberg project with Tamara Rojo seems an altogether different proposition, an experiment with “other ways of moving”, using Bach’s Goldberg Variations and drawing subtleties and “things that go unnoticed in big stages” to the intimacy of the Linbury Studio. More information on this project can be found in a recent interview Brandstrup gave to dance writer Jane Simpson now posted to Ballet.co.uk. Born in Arhus, Denmark in 1956, the son of a contemporary artist, Kim attended a progressive school which encouraged creativity. He initially studied film at the University of Copenhagen, but switched to modern dance studies at age 19. He moved to London in 1980 to study at the London School of Contemporary Dance where Nina Fonaroff was his teacher. Kim founded his own company, Arc, in 1985 (Arc is currently in the backburner but he plans to bring it back, not as a full time company but on a project by project basis). In 1989 he won the Olivier award for “Outstanding Achievement in Dance” with Orfeo, a piece he choreographed for the now extinct London Contemporary Dance Theatre. The cinema never ceased to be an influence in his work, along with literature. Kim worked with Irek Mukhamedov on a commission of Othello (winner of the London Evening Standard Award for Most Outstanding Production) and created for his own company pieces such as Elegy which drew on characters from The Idiot and later Elegy’s enlarged version (Brothers) inspired by two other Dostoevskian tales. He has choreographed for the Royal Danish Ballet, the Rambert Dance Company, English National Ballet, Birmingham Royal Ballet and other companies in the UK and abroad. He has been working with the Royal Ballet since 2003, having created dances for principals such as Carlos Acosta, Tamara Rojo, Zenaida Yanowsky, Leanne Benjamin, Steven McRae, Laura Morera, Alina Cojocaru and Johan Kobborg. Kim also works regularly with opera directors. One of his best known collaborations in this field was with director Phyllida Lloyd for Debussy’s one act opera “The Fall of the House of Usher”, where he choreographed the opening sequence featuring four dancing doubles of the opera characters, as performed by Steven McRae, Gary Avis, Leanne Benjamin and Johannes Stepanek. (This 2006 production is available on DVD). He says his creations are triggered by the dancers he works with even if the music, theme or narrative have been chosen well in advance. For him, being in the studio with a particular dancer transforms a piece from concept to reality, tailoring the movement to their particular strengths and characteristics. For Rushes he chose a rare, unpublished Prokofiev movie score (composed for a shelved film adaptation of The Queen of Spades) which he tracked from a tiny footnote in an article mentioning the score’s existence, liasing with a Princeton scholar and finally finding a copy in the Prokofiev archives at Goldsmiths College. What attracted Brandstrup was the structural freedom it gave him, the music was meant to be played underneath a dialogue so it was done in short, concise numbers. My preparation is not steps, not even a story. I listen and listen until the music has become second nature, it has to be in the bloodstream. The dancers are the second ‘given’ when you work with an established, full-time company. First there is the music, the theme, the place in the programme, which is stipulated when you are first asked, then comes – and this is the most important – the dancers. If they don’t inspire you, then you can’t do it, no matter how prestigious or exciting the project might be. In a ballet you have a location and people acting in it in real time – 45 minutes in a castle, 45 minutes in a forest, 45 minutes at a wedding.” Whereas in film one event cuts to another and time is not literal. When I studied film, everything that I loved about it was not verbal, it was the silent films. And when you look at a director like Hitchcock you’ll find that 60 or 70 per cent is purely visual and it’s through the images that the story is told.